The LG V20 is now available from Verizon’s online shop. The phone of “stuff and things” (in a good way) can be had for as little as $28 per month from Big Red, which is the cheapest price you’ll find from any carrier at the moment. On a related note, since we’re already at October 20 on the east coast, that means Google’s Pixel and Pixel XL are now officially available from Verizon as well. 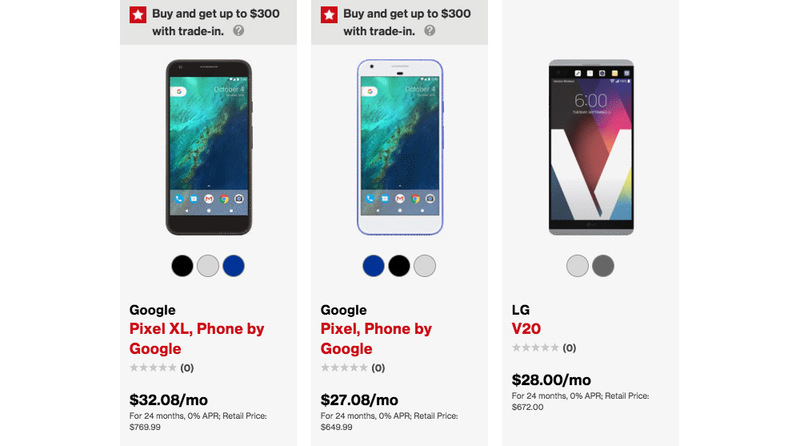 Unlike the V20, you can walk into a Verizon store today/tomorrow and buy the Pixel or its bigger brother. Also, if you pre-ordered your device should be arriving throughout the day if it hasn’t already. Which of these three are you going with? Android 7.1.1 Developer Preview is Live for Nexus 5X, Nexus 6P, and Pixel C!